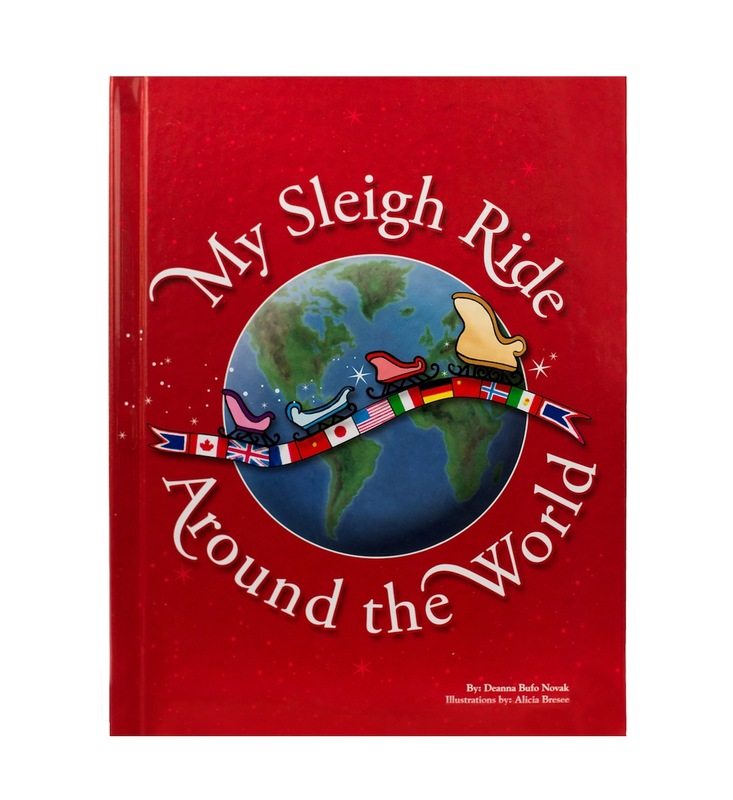 "My Sleigh Ride Around the World" is a great way to introduce kids to holiday traditions from around the world. 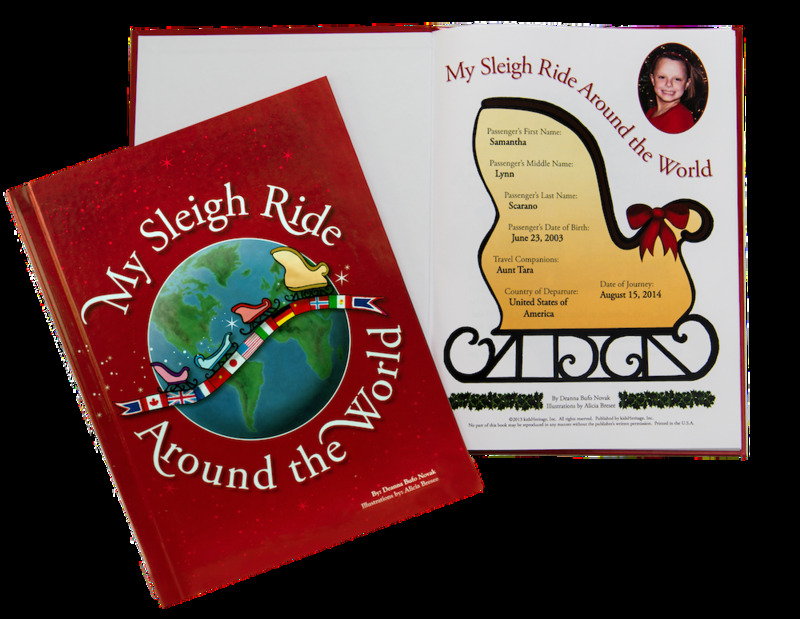 "My Sleigh Ride Around the World" begins with a sleigh page, including the child’s name, birth date, photo, and the travel companion’s (gift-giver) name, which begins the book and the child’s journey. The child’s first name also appears on each page of the book with a holiday greeting (and pronunciation) in the language of the country. The book concludes with fill-in pages to remind the child, and his or her family, what the holiday season is all about. 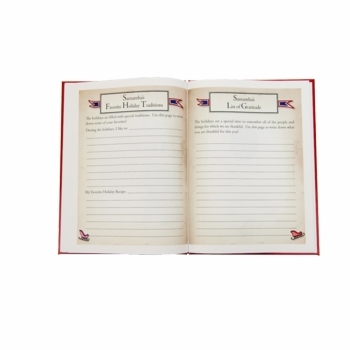 There is one page for the child to fill in his or her favorite holiday traditions, one to fill in people or things for which he or she is thankful, and one to list gifts he or she would like to give others. 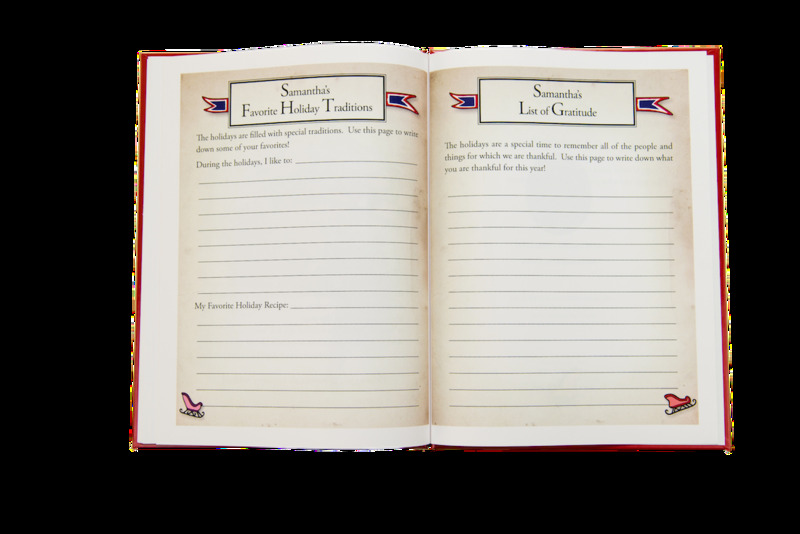 The book is personalized and interactive, a great way to share in the joys of the festive season. Makes a wonderful keepsake. All personalized books are custom made to order and not returnable.